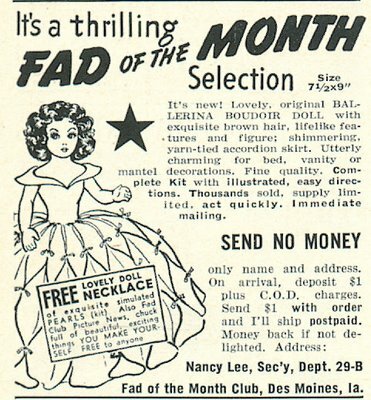 Kitschy Kitschy Coo: Craft-Scan Friday: "It's A Thrilling Fad Of The Month Selection!" 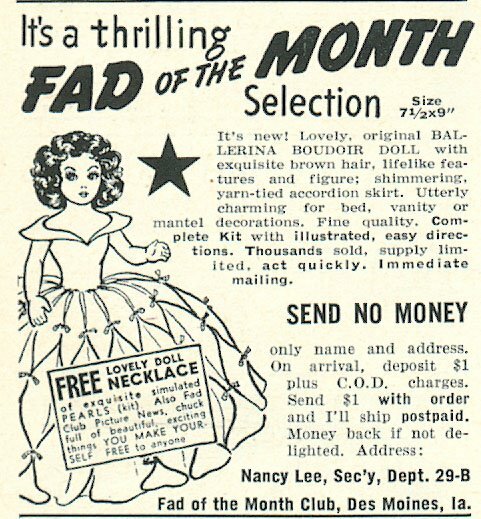 Craft-Scan Friday: "It's A Thrilling Fad Of The Month Selection!" Ad from the February 1952 issue of The Workbasket; a magazine which was very fond of presenting advertorials as content.